It’s going to take all of us standing together to protect and advance reproductive health, rights, and justice. 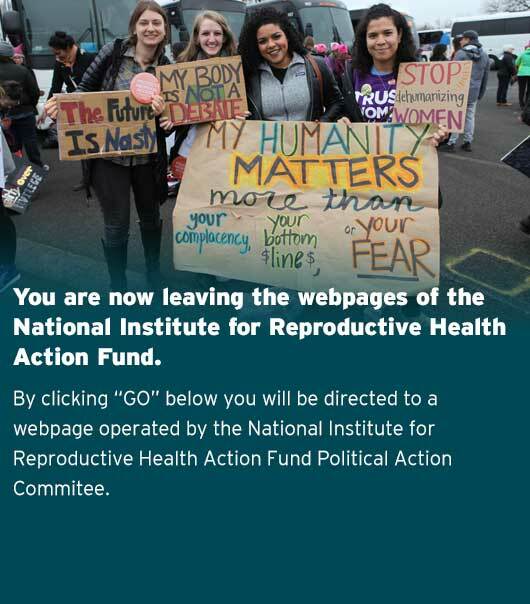 Your donation helps advance reproductive freedom across the country by supporting legislative and political advocacy work at the state and local level. A copy of the organization’s latest financial report may be obtained, upon request, from the National Institute for Reproductive Health Action Fund (14 Wall St, Ste 3B, New York, NY 10005) or the Charities Bureau (28 Liberty St, 15th Fl, New York, NY 10005).